It's World Friendship Day today! 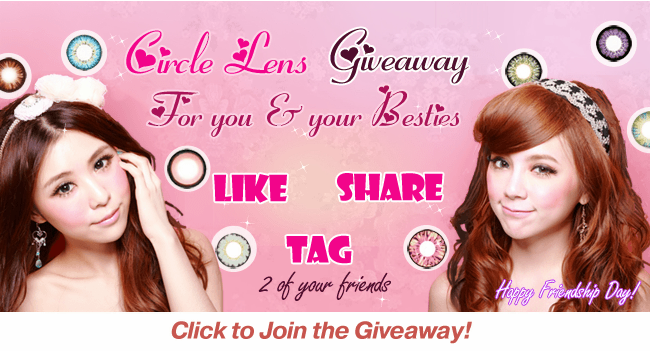 Pinkyparadise would like to celebrate this special day with all of you by announcing a circle lens GIVEAWAY to you and your besties! ☆Tips: Invite your friends to join this giveaway and tag you back to increase chances of winning! ✿✿Winner will be announced on 4 August - this Sunday!